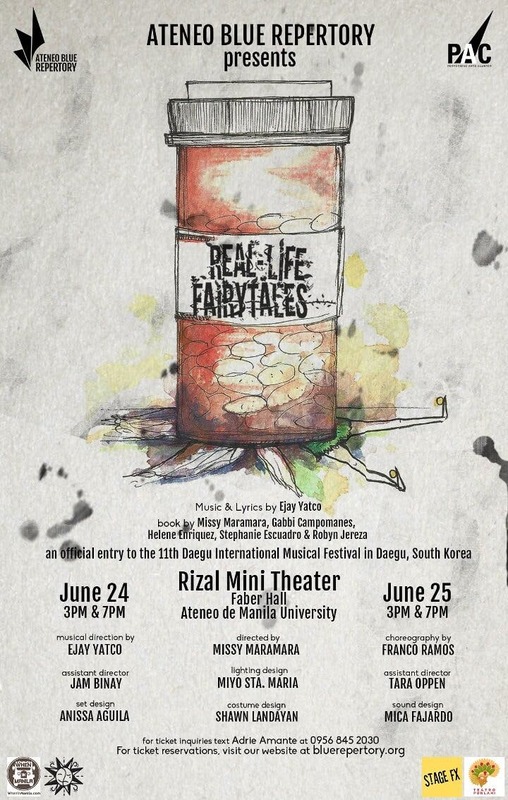 After a successful run as Ateneo Blue Repertory’s 25th Season Premiere, blueREP will once again stage the original play, “Real-Life Fairy Tales,” for its 26th Season Production. ‘Real-Life Fairy Tales’ is a series of six unique vignettes about how fantastical real life can be, or alternately, how fantasy isn’t so different from real life. Contemporary issues such as mental health, body image, and drug use are examined through the lens of the magical and unusual. This musical scene-cycle is written and musically directed by a homegrown blueREP talent, Ejay Yatco, who is a composer, musical director, and pianist. In 2013, he represented the Philippines in the World Championship of the Performing Arts where he made it to the top 3 and took home a gold and three silver medals. 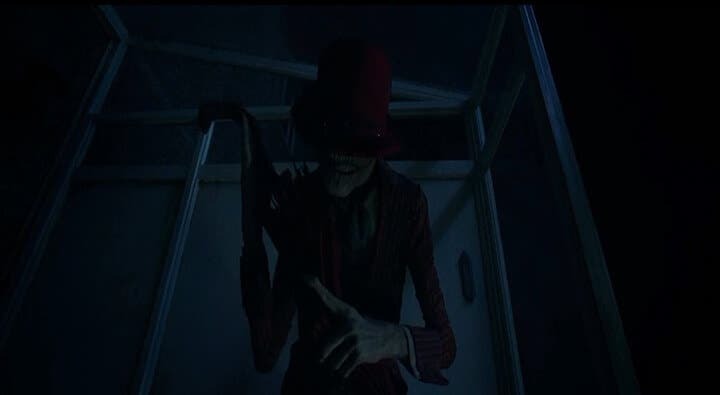 He was also nominated twice for Best Musical Direction and once for Best Music at the BroadwayWorld.com Awards. Lastly, he composed and arranged music for well-known companies such as City of Dreams, PNB, Resort’s World, Bonanza Foods, Pepsodent, Pepsi, SM, Arlington, and IBPAP. Real-Life Fairy Tales is choreographed by Franco Ramos who recently graduated on full academic scholarship (ENTRACA) from De La Salle – College of Saint Benilde under the school’s AB – Technical Theater Program. He is entering one of his first solo ventures into musical theater choreography with Real Life Fairy tales. He previously choreographed for Here & Thereafter, a Party Worth Crashing production featuring the songs of Kerrigan and Lowdermilk. He also previously co-choreographed for Ateneo Blue Repertory’s Shared Spaces alongside Mica Fajardo. Experience the extraordinary world that these talented individuals have envisioned. Join them and the Ateneo Blue Repertory this June once more before they take off to Korea to compete in the final round of the the 11th Daegu International Musical Festival. Real-Life Fairy Tales will bring urgency, honesty, and even just a little bit of magic to our own reality. Real-Life Fairy Tales will run from June 24-25, 2017 at the Rizal Mini Theater, Faber Hall, Ateneo de Manila University. Tickets are at Php 350 and students have a special price of P300. You may contact Lorenzo Villacorta at 09175662940 for inquiries and reservations. For more inquiries, you may also visit Ateneo Blue Repertory’s official website: http://www.bluerepertory.org and its accounts on Facebook: https://www.facebook.com/blueREPERTORY, Twitter: @_blueREPERTORY and Instagram: ateneobluerepertory.